Finally! 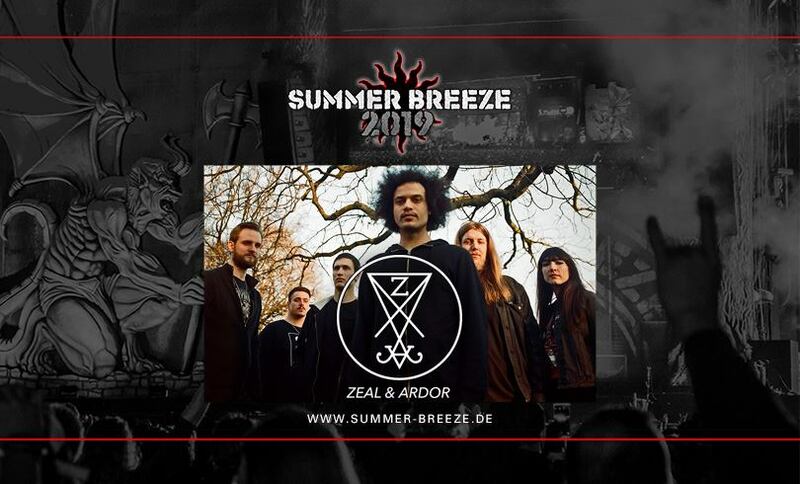 SUMMER BREEZE can present us a band that has impressed us very much with their live show in the last few years: ZEAL & ARDOR! After we unfortunately didn't manage to book the band for our festival in the past years, in 2019 it's finally done: The Swiss avantgarde black metal band will come to Dinkelsbühl, and we're sure they will leave a deep impression on you with their breathtaking live peformance. Sure, you have to (be able to) embrace the mix of gospel and black metal, but when you do, you will experience a fantastic band that is even more gripping live than on record. Our tip for 2019: forget your preconceptions and enjoy the ZEAL & ARDOR!